JERUSALEM (JTA) — The homes of two of the men who are said to have planned and carried out the kidnapping and murder of three Israeli teens were demolished, while a third was sealed off. The homes of Hussam Kawasme, who was arrested last month and admitted to planning the attack, and Amer Abu Aysha, accused of carrying out the kidnapping and murder, were demolished late Sunday night, the Israel Defense Forces said in a statement. The Hebron home of Marwan Kawasme, Hussam’s brother, was sealed off and is set to be demolished. Marwan Kawasme had been freed in the Gilad Shalit prisoner exchange. Hussam Kawasme of Hebron was apprehended last month while attempting to flee to Jordan under a false identity with the help of his family. He reportedly admitted to serving as the leader of the cell that perpetrated the murders of Gilad Shaar, Naftali Fraenkel and Eyal Yifrach. He said that funding for the attack, which he used to buy weapons, came from Hamas in Gaza. In his interrogation, Hussam Kawasme said he helped bury the bodies on a plot of land he had purchased two months prior to the murders. He then helped the two men who drove the car and shot the teens hide. The implementation of the demolition order, which was issued by the IDF in mid-June, was carried out following three appeals to Israel’s High Court of Justice. The court affirmed the IDF position regarding the intention to demolish the houses. 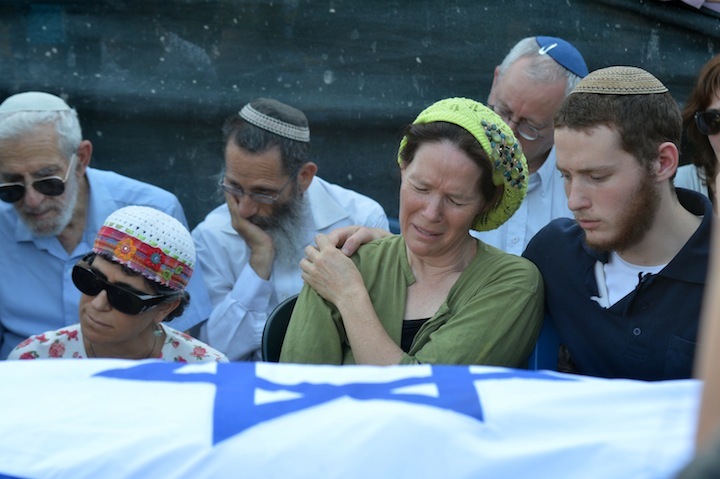 The bodies of the three teens were discovered June 30 in a shallow grave in a field near Hebron, 18 days after they were kidnapped and murdered, following a massive search mission.